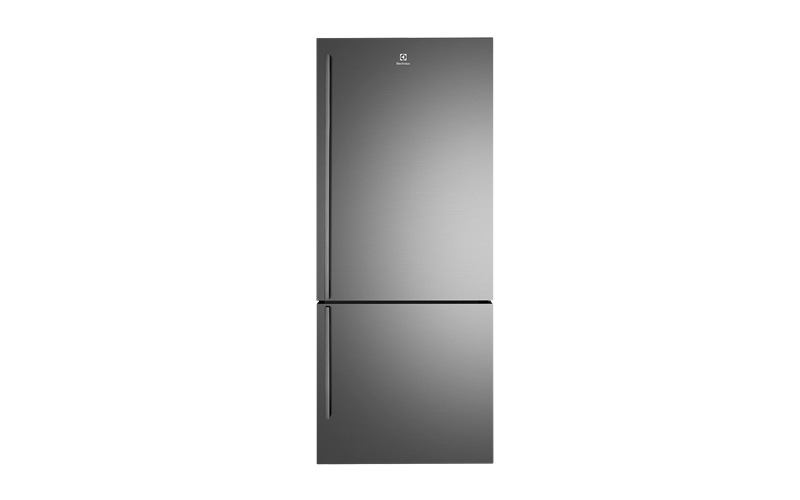 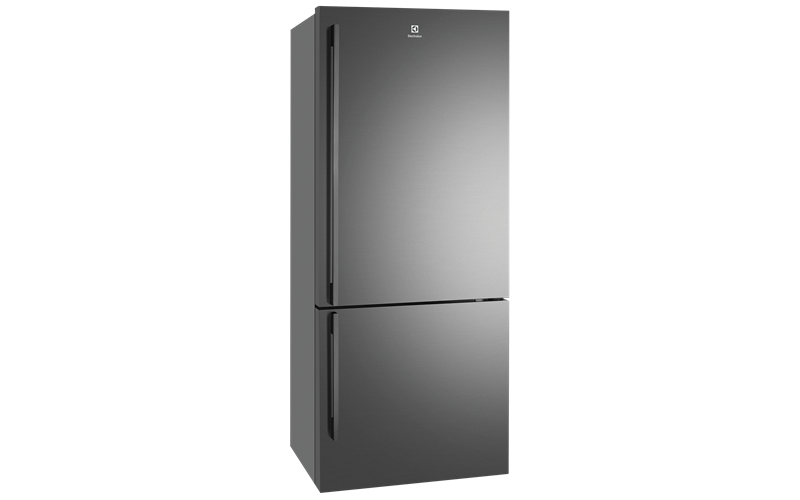 453 dark stainless steel bottom mount refrigerator featuring a TasteLock Easy-glide crisper, 4.5 star energy efficiency and a mark resistant real stainless steel finish. 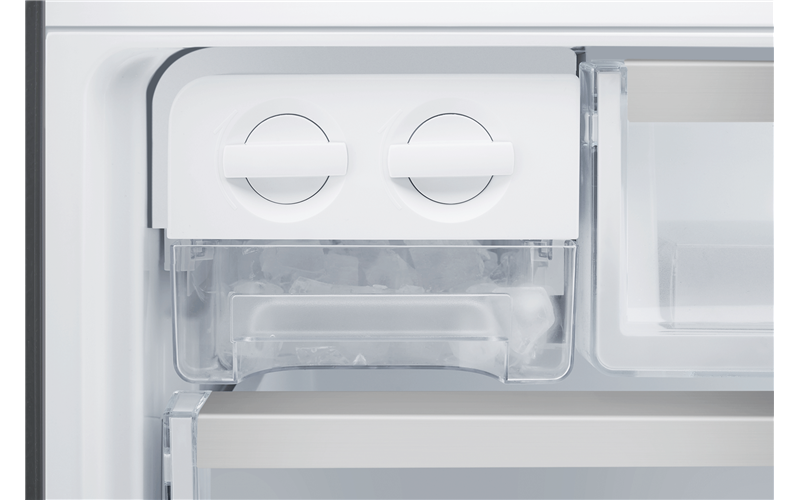 With a combination of Fast Ice and Boost mode you will always be prepared when entertaining. 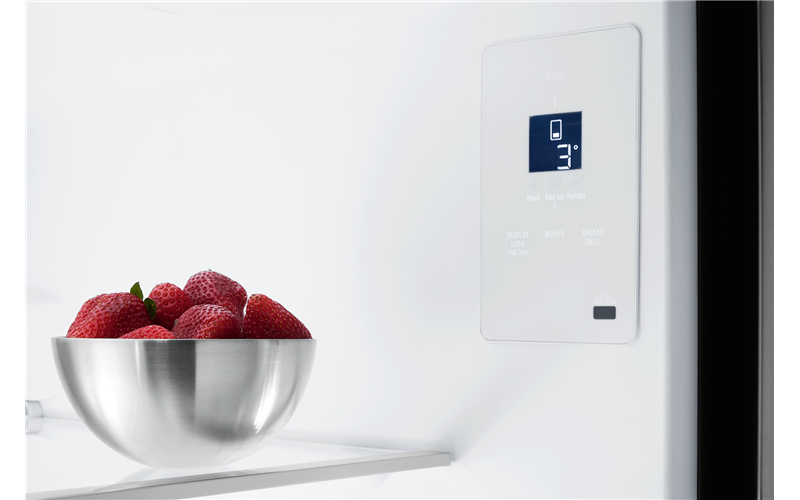 After a large shop, Boost Mode increases the chill rate of the refrigerator for 90 minutes whilst the Fast Ice function lowers the freezer to -23C for 12 hours, before returning to their pre-set temperatures, to ensure your produce stays fresher longer. 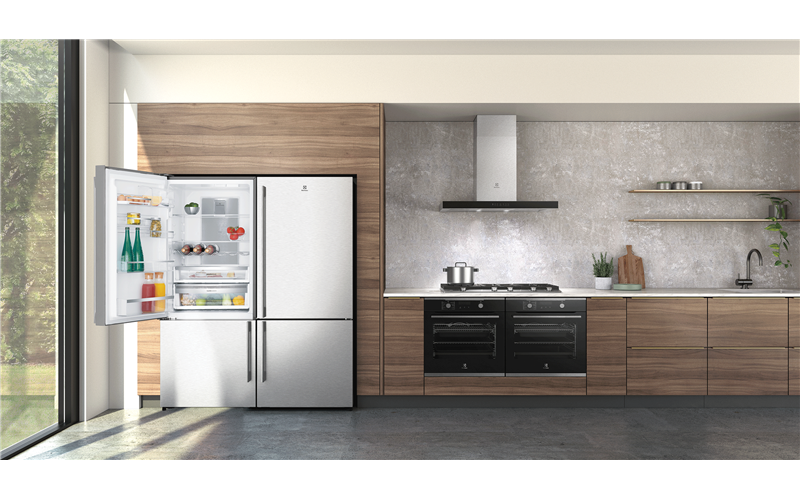 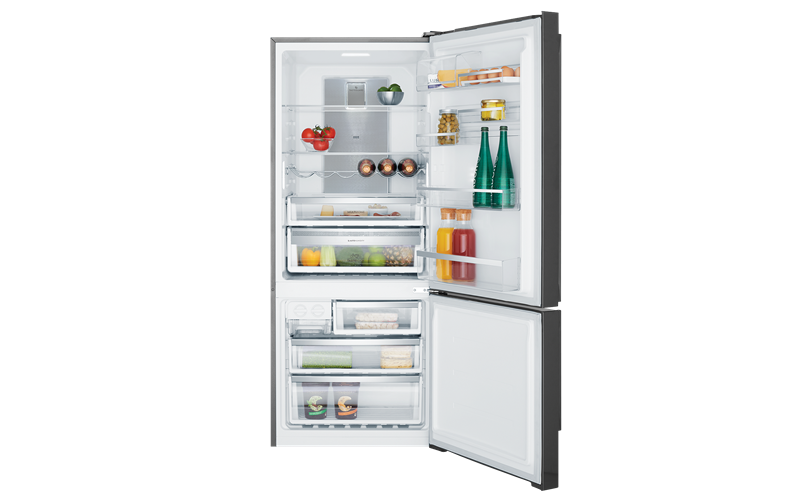 Two independent cooling systems are working together to keep your fridge working at its best, every day. 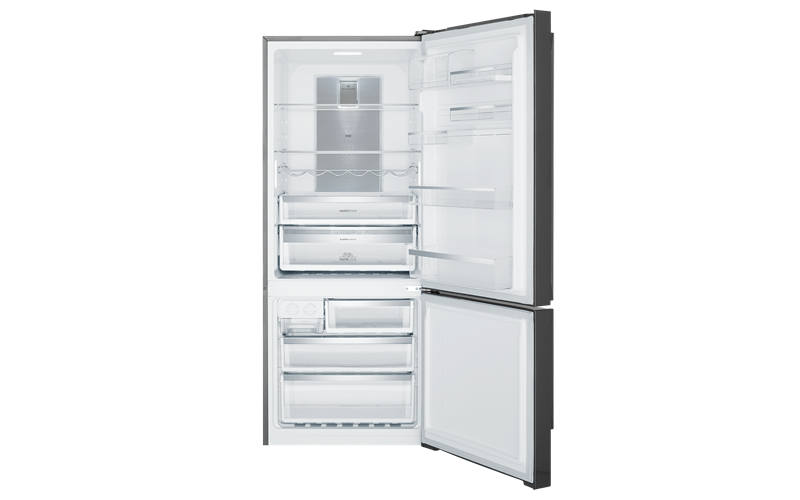 One keeps your freezer chilled, the other controls the refrigerator for stable temperature and humidity.